Virgin Australia has just announced that they have partnered with Flybuys which will enable shoppers to earn both points and status credits. This is quite surprising considering Etihad and Flybuys have a partnership already which will remain active at this time. The transfer rate for status credits is $100 spent = 1 status credit, and for points: 2.3 Flybuys points = 1 Velocity point. All information from Flybuys and the Virgin Australia website. The higher your membership level, the greater benefits you will receive such as Lounge access, Priority Check-in and additional baggage allowance. 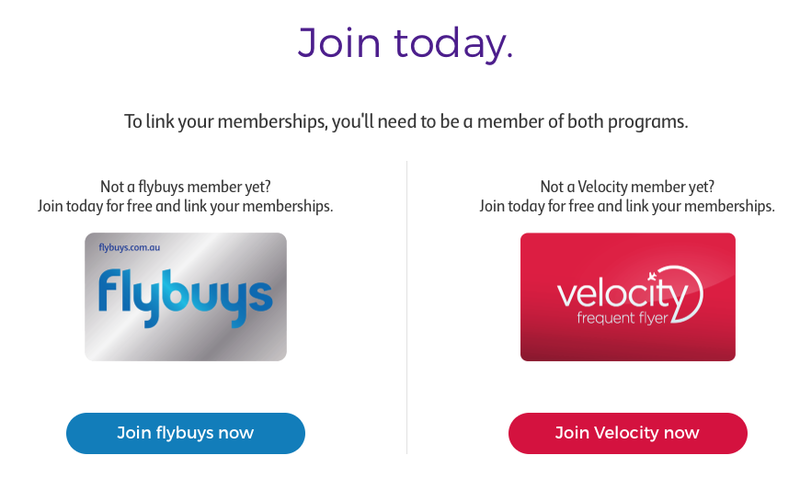 You will be able to link one member of your flybuys household to a nominated Velocity membership and this linked person will be the recipient of the Status Credits. And lastly platinum will cost a massive $100,000! The maximum status credits per month is 10 which will equal 120 in a year. If you’re wanting to get status you better start flying because this won’t get you even halfway to silver if you haven’t flown. You can transfer a minimum of 2,000 flybuys points (equivalent to 870 Velocity Frequent Flyer Points) and a maximum of 138,000 flybuys points (equivalent to 60,030 Velocity Points) per household, per calendar year. Status credits are awarded per calendar month to the Velocity Frequent Flyer account linked to the flybuys household at the end of the calendar month. Please allow up to 2 weeks after the end of each calendar month for your Velocity Frequent Flyer Status Credits to be credited to your account. For a limited time only, transfer your flybuys points to Velocity and receive 15% bonus Velocity Points+. Offer ends 30 November 2016. This relationship in Australia is between Velocity Frequent Flyer Pty Ltd and flybuys a registered trademark of Loyalty Pacific Pty Ltd. It does not apply to the Fly Buys program in New Zealand. Both are free and easy to join. This partnership is a little worse than I was thinking. The transfer rate for the points is nowhere near as valuable as their Etihad promotion $1 = 1 Guest mile, and the status credit earn is very poor. This may be useful to some shoppers, but personally, I’d stick to Qantas and Woolworths rewards. if not, no worries just let me know and I’ll delete it. Either way keep up the great work.